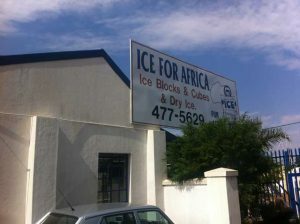 Ice for Africa Gauteng has been in operation for more than 26 years. We are conveniently situated near the Gordon Road Off-ramp on the N1 Highway which gives us easy access to the north, south, east and west of Johannesburg. We are open 365 days a year, including Christmas and New Year. We are open half-days on Sundays and public holidays and only close after completing our daily deliveries. We have a dedicated staff complement of 45 employees and have a comprehensive stock holding capacity of ice as backup for the peak seasons. We service the whole of Gauteng as well as surrounding provinces. We are an accredited member of the International Packaged Ice Association. We are completely independent and are not associated with any other ice company. Our water is tested annually for the complete SANS 241 requirements as well as monthly tests for harmful bacteria. Please see certification logos below. 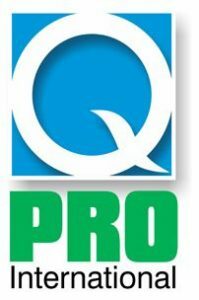 We also undergo quarterly health, safety and hygiene audits by reputable international companies and are therefore listed as the preferred supplier to several large retailers and oil companies. Our ice is made from purified, filtered and ultraviolet disinfected water, and is hygienically packed (SANS 241 compliant). Certified the purest, safest ice you can buy. We are proud to say that our vehicles, including our large trucks, are properly insulated and where necessary refrigerated, which makes it possible for our ice to be delivered in good condition. We consistently strive to meet the high standards of reliability and prompt delivery as demanded by all of our valued customers. We are the only ice company that openly displays (via our website) and advertises our Health, Safety and Hygiene audits and standards. Full reports can be found on this website. 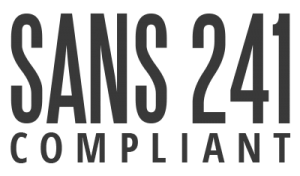 We are compliant in all health and safety aspects as well as meeting all service level agreements.